Hey Facebook! Bigger photos are great, but here's how to really improve your photo app. Hey Facebook! Bigger photos are great, but here’s how to really improve your photo app. The recent acquisition of Divvyshot by Facebook got me thinking about the humble photo app. Given the chance, how would I improve Facebook photos? I decided to keep in mind that photo sharing on Facebook is about being social. Photography enthusiasts have plenty of sophisticated services to support their needs. I was trying to think of features that make it easier to upload, share and enjoy photos among family and friends. Support a limited amount of the EXIF data to be retained on upload and displayed alongside the picture. Specific fields that I think would be useful are timestamp, caption, geo-location and tags. Supporting captions would allow me to caption pics in Picasa before upload meaning I have the captions available for anything else I use the pictures for. Geo-location would open the door to displaying albums on a map, great for travel pictures. Also, sharing among friends or groups based on locations. I reckon it would be interesting to create an album of all my friends pics taken in the same city. Time stamps would allow me to quickly sort albums chronologically, something I often want to do when uploading pics after a trip. I often find that Facebook’s order after upload is a bit dodgy and I need to manually move pictures around. Allow me to upload to a “staging area” where I can edit (ordering, tagging, captions) before publishing. Often when I upload albums after a big trip, I find that by the time I’ve gone through writing captions people have already started browsing the album. Introduce automated people tagging. Photoshop and Picasa have been experimenting with these features for a while now and its time Facebook played a bit of catchup. I’m not advocating pure automated tagging, just the ability for Facebook to identify and prompt likely matches. Improved gallery features. Facebook’s gallery is pretty straightforward, how about some Cooliris style galleries and carousels? But, to give credit where its due, Facebook was the first site in common use where clicking a pic brought up the next pic in the album – I still find this much more intuitive than solutions like Flickr’s photostream control. Some fun captioning tools. Speech bubbles, thought bubbles and the like. Nothing too fancy, I don’t envisage feature rich Picnik style editing – just enough to add some fun to shots I am sharing. More social features around albums. At the moment, albums are largely created by one person. The use of groups and events to create shared albums feels a bit clunky. I suspect this feature is at the core of the Divvyshot acquisition. Allow me to embed albums from other sites. Its a bit counter-intuitive but bear with me – Facebook’s revenue comes from ads (among other things). Embedded Flickr albums would still have me looking at Facebook’s page and ads. I’d probably spend more time on Facebook as I wouldn’t need to go out to other sites. There is no particular advantage in Facebook storing the content itself. In fact, if Facebook tried to use my pictures for anything other sharing I’d quite quickly shut down my account. 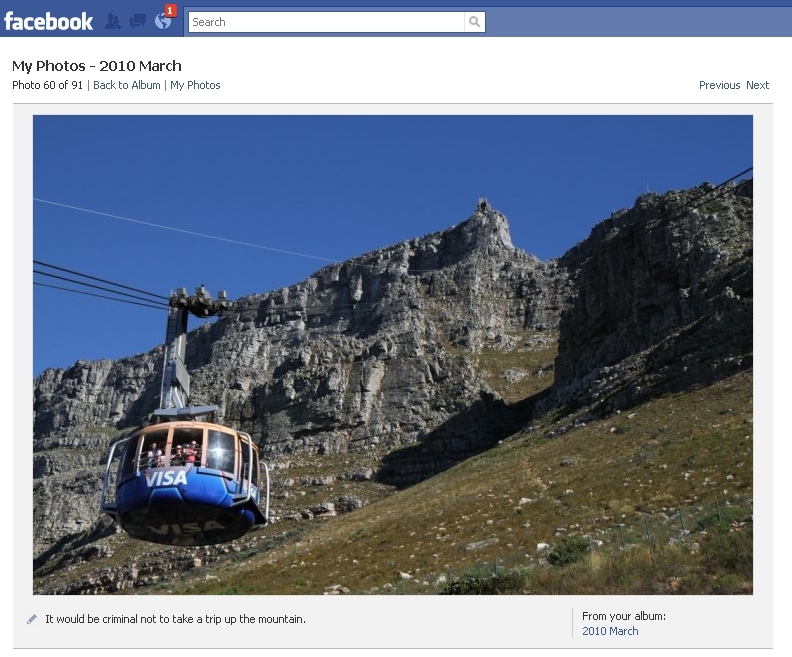 With more than 3bn photos being uploaded each month, Facebook is by far the worlds biggest photo sharing site. Hopefully in the coming months, as Facebook incorporates some of Divvyshot’s engineering, we may see some spit and polish applied to the humble gallery. In the meantime, I’d be interested to hear your suggestions in the comments.